What Are the Best Creature Types in Magic? Creatures form the backbone of most Magic decks, as they can attack, defend, and harness their individual effects. Most duels are won when a player's life hits zero, usually achieved by battering your foe with your army until they're defeated. But not all creature groups are created equal. Some specialize in power and have less than ten members; others emphasize drawing and bear hundreds. So, with dozens of factions available, which bands reign supreme? These are the ten best creature subtypes in Magic: The Gathering! 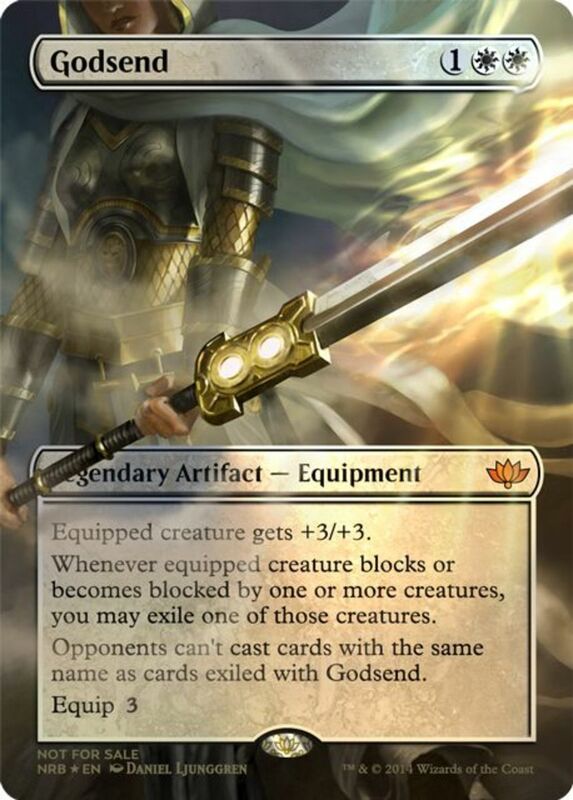 Angels tend to cost a fair chunk of mana, but they descend with impressive power/toughness ratios and the flying trait, letting them soar over ground blockers. Like many white units, they may also carry vigilance, letting them attack without tapping, and several wield some of the best defensive abilities in the game. Powerful heavenly warriors include "Avacyn, Angel of Hope", who grants all your permanents indestructible, and "Iona, Shield of Emeria", who prevents your opponents from casting spells of an entire color! 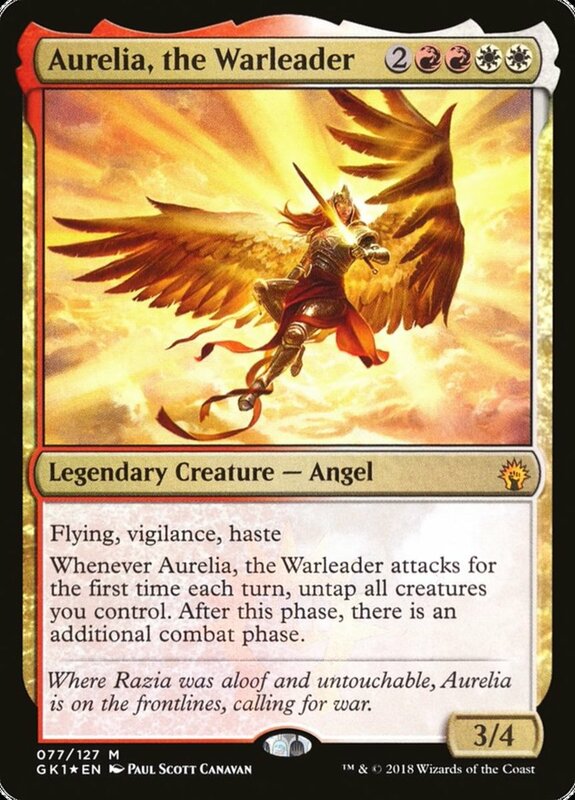 But don't think angels can't fight back—units like the above "Aurelia, the Warleader" carry haste (letting them attack immediately) and grant you an additional combat phase each turn. 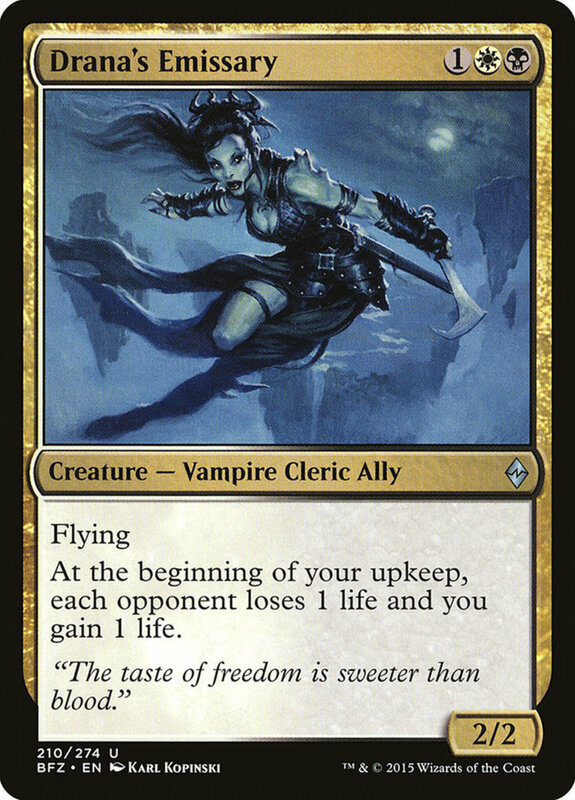 Vampires are tricky units who emphasize lifegain over raw power. Many carry lifelink, regaining you health when they strike, some possess flying, and they come in a variety of mana costs, granting both early-game supports and late-game beatsticks. 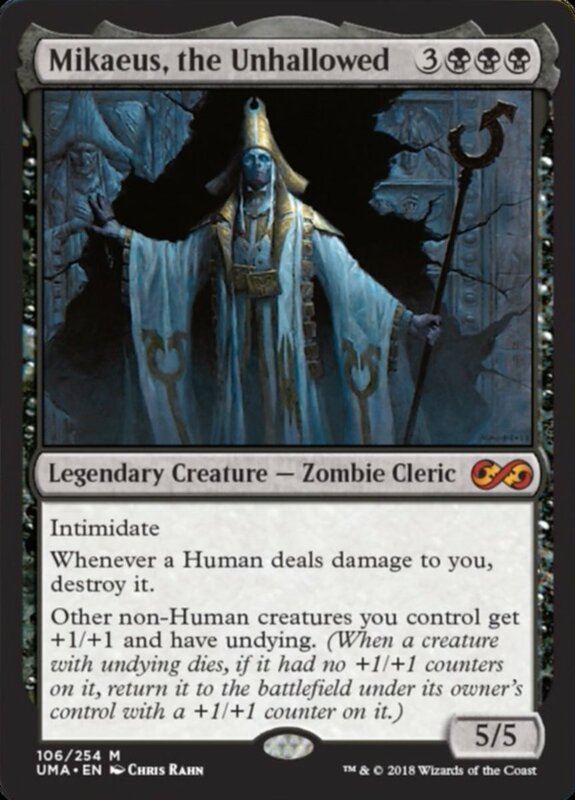 Some of the best immortals include "Vampire Hexmage", who can sacrifice herself to remove all counters from a permanent (an excellent planeswalker removal) and "Bloodghast", who returns to the field from the graveyard whenever a land enters your arena. 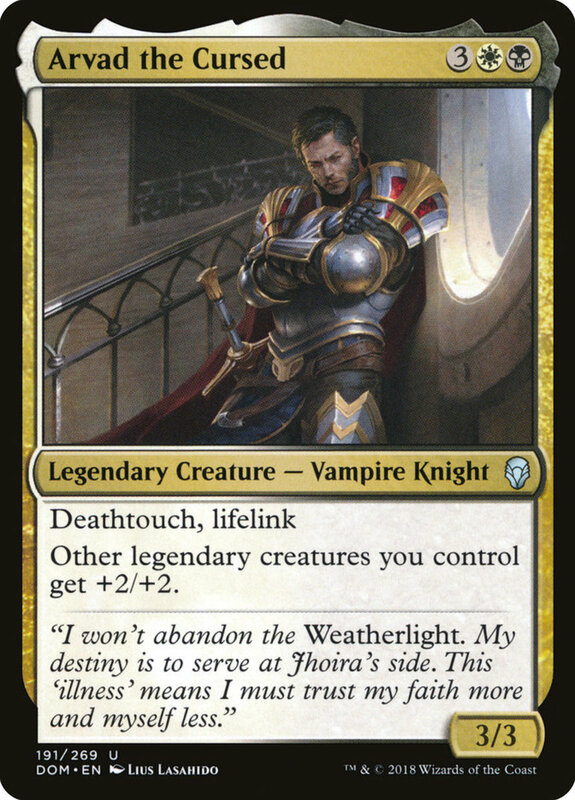 With factions like vampires and angels, you might elect to include individual members rather then build your entire deck around them. But with slivers, you'll definitely want to completely devote to their theme, as they grant their insect-like kin the same abilities they provide themselves. 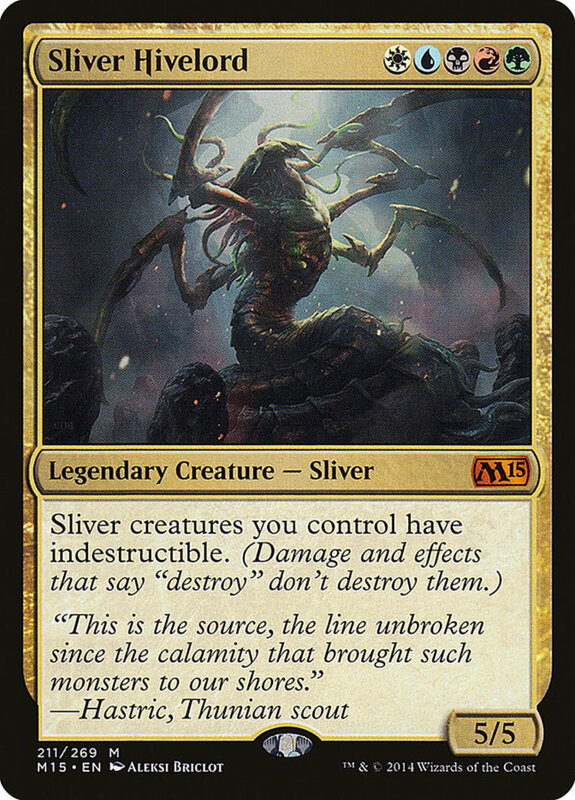 Thus, an individual sliver won't be much trouble, but when you combine their best members (like haste-offering"Heart Sliver" and regeneration-giving "Crypt Sliver"), you'll control a massive army of monsters all boosted by one another. With abilities like unearth, undying, and persist, black's zombies contain several tools to return from the dead and wreak havoc on your foes. 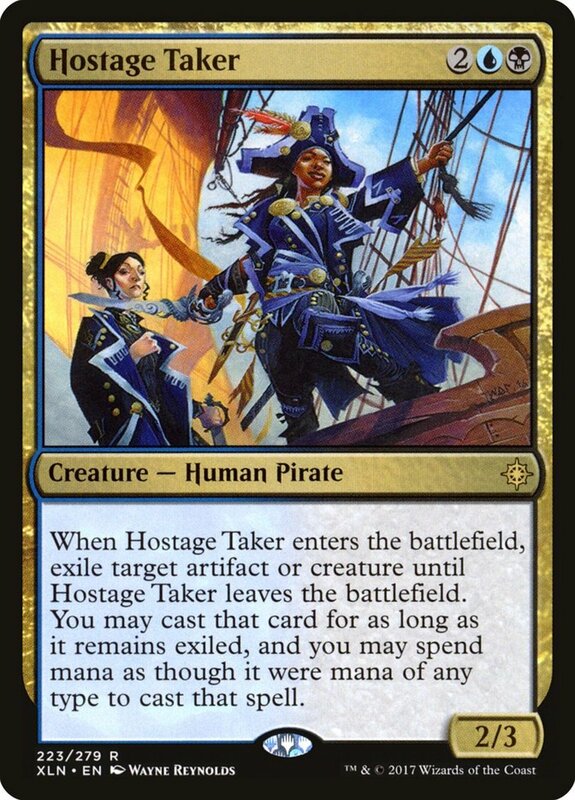 Most fall mid-range in terms of mana cost, and while they aren't the toughest creatures, their traits make them hard to permanently remove, as many will simply return to the field if killed. Whether you're swarming actual zombies or amassing their common 2/2 creature tokens, the walking dead can overrun opponents with sheer numbers. Some of the best zombies include card-drawing "Cryptbreaker" and "Gravecrawler", who you can cast from both your hand and your graveyard! The infamous eldrazi are a set of generally-colorless creatures, letting them fit into just about any deck. Eldrazi require enormous amounts of resources, so to actually harness them, you'll need to drastically mana ramp or utilize free-creature plays with cards like "Elvish Piper" and "Mosswort Bridge". 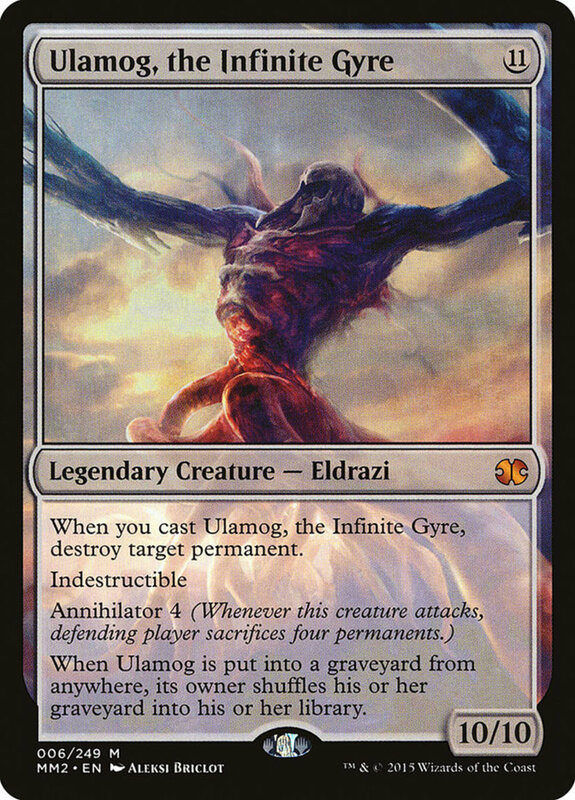 However, once you've fielded them, eldrazi decimate foes with their unrivaled power and toughness, and many carry their trademark annihilate X trait, forcing your opponent to immediately sacrifice X permanents when they attack. Some brandish indestructible, preventing cheap kills from deathtouch, while others let you draw cards when they arrive. Use colorless-providing staples like "Metalworker" and "Mishra's Workshop" to quickly employ their strongest behemoths. Dragons are spread wide, but slightly favor the red faction. They resemble angels with their high prices and flying, but are more diverse and offense-oriented. Some work well on their own, like infect-bearing "Skithiryx, the Blight Dragon"; others boost their entire clan, like double strike-providing "Atarka, World Render". Dragons showcase some of the best commanders in EDH format, with both "The Ur-Dragon" and "Scion of the Ur-Dragon" accessing all five colors and granting powerful effects. They also enjoy a surprising number of non-dragon supports to further improve their ranks. Merfolks are a variable bunch who prefer blue, but sneak quite a few members in green, letting them stack well with both elves and wizards. These aquatic warriors aren't terribly strong, but generally don't cost much mana and have a variety of unique effects. Some are unblockable, others let you draw, and many heckle enemies by either tapping them or returning them to the hand. 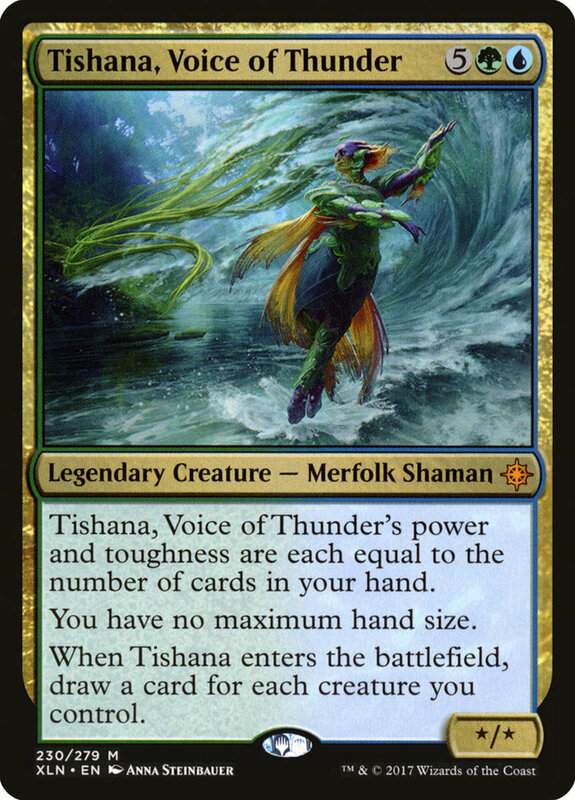 Adaptable and diverse, merfolk are a well-developed clan with dozens of superb members, including my favorite partner commander, "Thrasios, Triton Hero", and cost-reducing "Stonybrook Banneret". 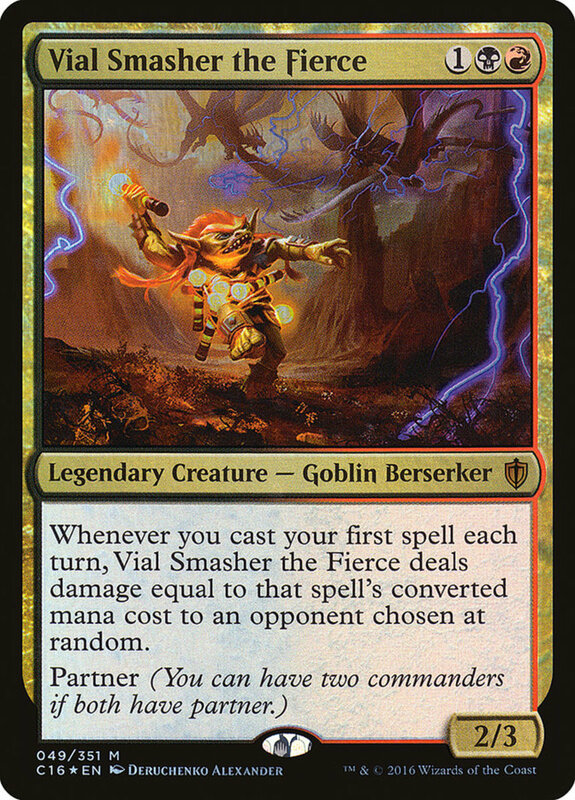 Red isn't generally as powerful in the longer games of commander as it is in standard, meaning goblins are often best saved for traditional formats. 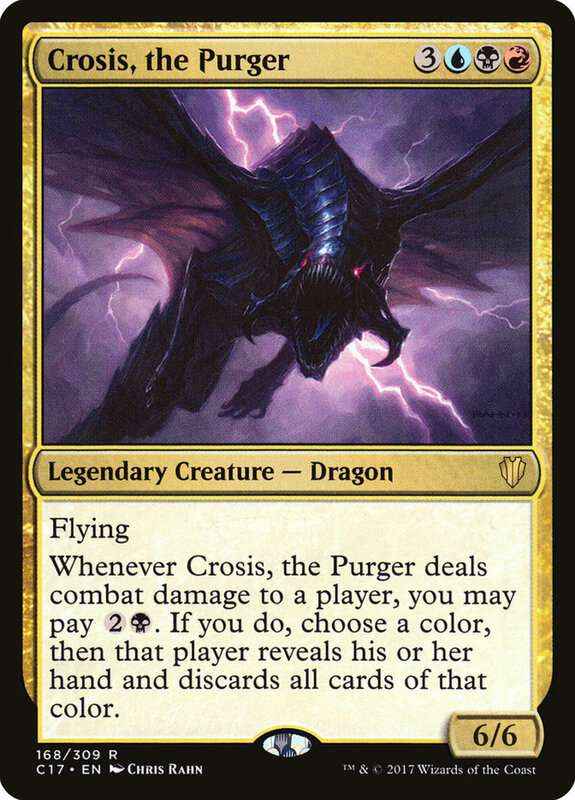 That said, don't underestimate the power of a "Krenko, Mob Boss" EDH deck, especially when combined with "Purphoros, God of the Forge". These imps are weak but inexpensive, and several carry haste, letting them attack for some early damage. Many search their kin from your deck, quickly swarming your hand and field. 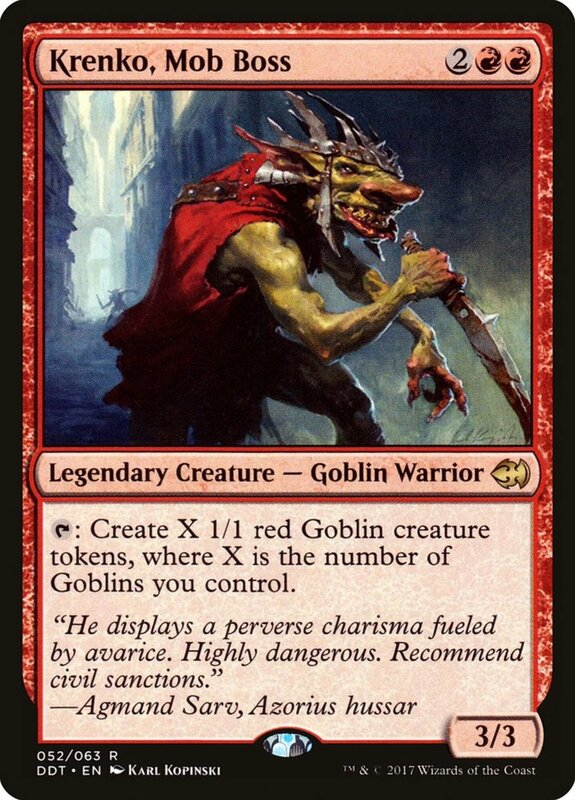 Some of the best goblins include "Goblin Lackey", who can play a goblin from your hand for free when he lands an attack, and "Goblin Chainwhirler", who inflicts one damage to enemy creatures, planeswalkers, and opponents themselves when she enters. Elves can be found in any color, but they're most comfortable among the forests of green. These pointy-eared recluses often bear druid or shaman subtypes and low costs, making them great early-game plays. Many tap for additional mana, helping you bring out your aces much faster. When it comes to fielding your boss monsters, you can't go wrong with these enigmatic warriors. 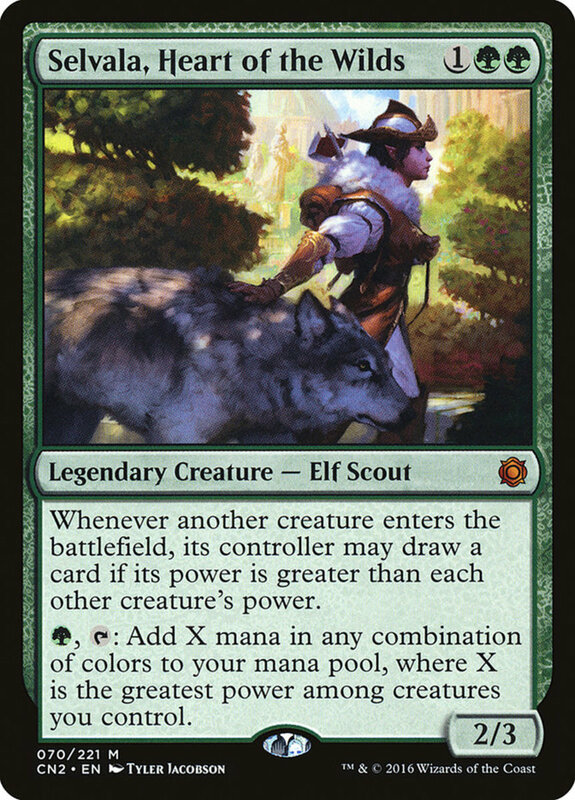 Be sure to include cards like "Priest of Titania" and "Elvish Archdruid" in elf decks, as they tap for extra mana based on the number of elves you control. Wizards are blue's most prominent team. They're generally frail in battle, but compensate with incredible effects that let you draw cards or help you negate your rival's plays with instant counterspells. 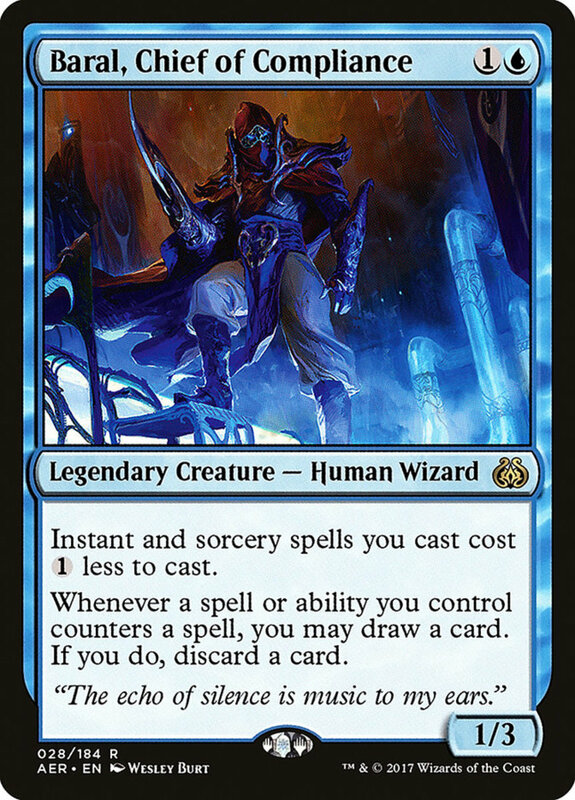 Their strongest units include "Teferi, Mage of Zhalfir", who grants your spells flash, "Patron Wizard", who lets your sorcerers tap to counter opposing spells, and the infamous instant/sorcery-recycling "Snapcaster Mage". What else can I say? These mystics offer unparalleled board control, and their weaker stats are easily mended when combined with stronger beasts like dragons or sphinxes. Which creature type do you prefer? Remember that creatures aren't always restricted to a single subtype. Some bear two or even three lineages, letting them qualify for any of their bloodlines' traits. 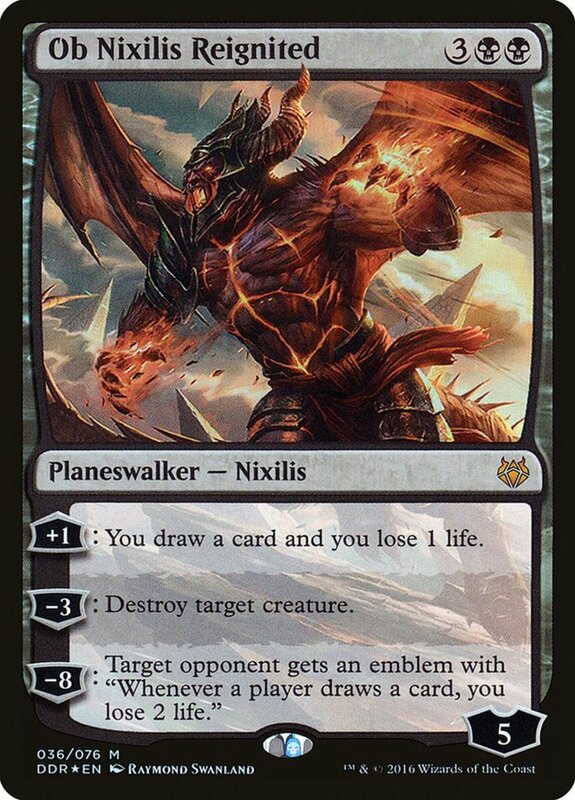 For instance, merfolk like "Augur of Bolas" also double as wizards, and "Bladewing the Risen" counts as both a zombie and a dragon. With these versatile units in hand, you can easily mix and match your favorite families to gain the best of both worlds. Not every deck needs to focus on a specific creature group, but those that do often triumph with their compatible abilities, and today's bunches offer great starting points for new players. But for now, as we eagerly await Wizards of the Coast's next clan expansion, vote for your favorite subtype and I'll see you at our next MTG countdown! How strong are dinosaurs in Magic: The Gathering? 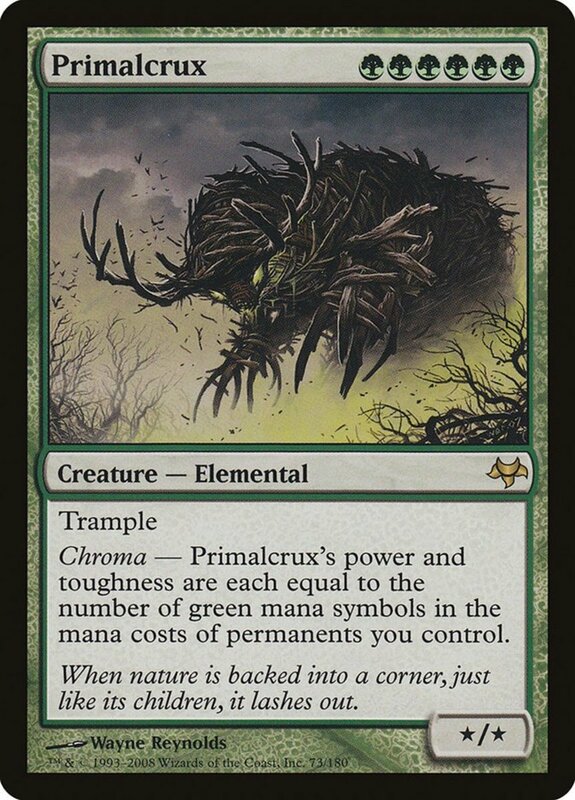 Dinosaurs are definitely a fun bunch for players that enjoy mixing red, white, and green, and they've seen several competitive cards with powerhouses like "Ghalta, Primal Hunger." Just be prepared to shell out for their hefty mana costs.